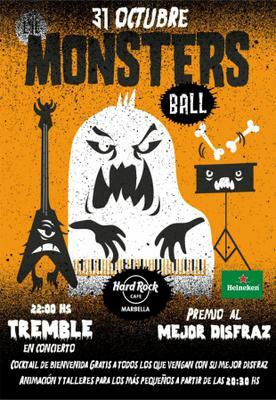 Spend Halloween at the Hard Rock Cafe Monster's Ball with the kids this year and you're in for a real treat. This franchise in Puerto Banús is getting all decked out and into the spirit with devilish decorations and staff who dress the part. The kids may just jump out of their seats when they're served by Dracula. 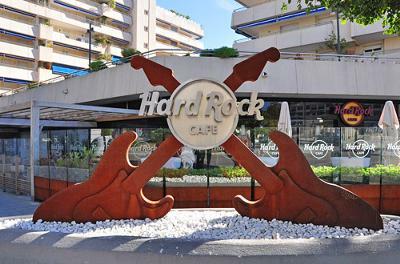 The Hard Rock Cafe is located in Puerto Banus on Calle Ramón Areces across from El Corte Inglés shopping center and Antonio Banderas Square. On October 31st, 2014 starting at 8:30pm enjoy live entertainment, costume contest, facepainting and more. After 10:00 pm enjoy live music from Tremble. All visitors entering in costume will receive a free cocktail! The kids with get alcohol-free cocktails of course!! If you like Hard Rock Cafe, you will love Route 66 just across the road!